After condemning the discriminatory targeting of members of the immigrant community, Superior Court Judge Joseph P. Donohue sentenced a Plainfield man on Friday morning to nine years in New Jersey State Prison, said Union County Prosecutor Theodore J. Romankow. Anthony Pollard DOB: 3/29/1988, was convicted in August of strong-armed robbery, following a two week trial, said Assistant Prosecutor Joshua F. McMahon, who prosecuted the case. According to the investigation, which was led by Detective Leslie Hudson of the Plainfield Police Department, Pollard, a self admitted member of the Rollin’ 30s Crips street gang, along with two other gang members, were “Papi Hunting,” which is a street term used to describe the targeting of Latino residents during strong-armed robberies. 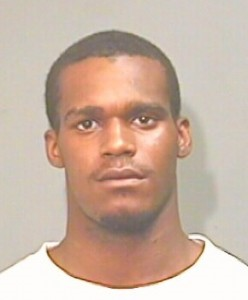 On April 2, 2010 the three targeted a Plainfield resident in the area of Sandford Avenue around 9:30p.m. as the victim was walking home from a store, said McMahon. The trio surrounded the victim, knocked him to the ground and violently assaulted him in an attempt to take his money, said McMahon. A good Samaritan, who witnessed the crime, notified the authorities and followed the defendants until police arrived. One culprit managed to flee the scene, and remains at large. Pollard and Shanae Holliday DOB: 1/23/1988 were caught a few blocks away and arrested. Holliday previously pled guilty to robbery and is currently in state prison.